Let’s talk a little bit about why you may feel disorganized. So many people tell me that they feel like they can’t get started and they’re overwhelmed thinking of everything that needs to be done. I can understand. I’ve let a few things slide and getting them back to a functional level has taken more time, energy and mental focus that I believed it would need. But there’s hope! Plan your project at a time during the day when you can be the most alert. Only think about what you need to accomplish for a small space or task. Find a quiet place to begin your thinking process – if you don’t have a quiet place, ask for help. My husband will watch our kids or I’ll plan my time before everyone is awake. Some days I feel like I have it all together. And some days – as a working mom – I feel like I’m a failure as an employee, as a mom and as a person. I debated for a while whether to post today – I let a few things really get to me, and because of that, it was not one of my best days – but I think it’s important to be honest, so here I am. I had a sick kid today and a full day of work that I needed to get done and limited time off to spare. My solution was to take my sick kid into work – not the best for the kid, my co-workers or myself. But when you’re trying to make it all work, sometimes you come up with crazy solutions (that maybe don’t always make sense!). The end result ended up being fine and I was able to best help my kid and get my daily work done, but it wouldn’t have happened if I’d been left up to my own solution (which, let me repeat, was not a good solution). Remember, you have others to help you. Let them be kind. I never ask for help. I hate asking for help. I want to be able to do all things and do all things perfectly. And I know that isn’t realistically possible for any human to accomplish – much less to try to maintain on a regular basis. But I still want those things, badly. So when I need help – really need it – I have to mentally psych myself up to ask someone to help me. And guess what, when I ask others for help it’s usually no big deal to that person and I’m better off for having involved them, letting them help me, and building a new part of our relationship. Ask for help when you need it. Ask for help more often. Figure out what works for your energy or emotional release. And do that thing. When I’m starting to feel my stress build to the point that I’m not sure I can take it, I try to find something to help exhaust me. Now, I’m not talking about mental exhaustion – I’m usually already there by this point! I’ve found what helps me calm down is something that can take my mind off of my stress, release all of the extra (stress) energy that I’m internalizing, and something that is good for me. I usually will exercise – and it seems to work. Today, I went to the gym after work and focused on the workout. About 15 minutes in, I decided to add some extra weights during my weightlifting class and by the end of the routine – I was exhausted and REFRESHED – because I was thinking about the exercise and not my stress. Keeping the stress with you is only going to do damage to you. Get it out in a healthy way that actually eliminates the exhaustion – it could be talking to someone, it could be running, it could be getting enough sleep. Find what works for you and make it a priority to make it happen. Tackle things in small pieces. Remember small progress is still progress. I often wake up in the middle of the night when I’m stressed and think about all of the problems of the world. I need to fix everything and I’m too sleepy and disoriented for anything to make sense, so I spin my wheels and make no progress. I’ve started forcing myself to write down the real things that I’ve developed and send them to myself in email. Then I do something else until I can go back to sleep (so I don’t think about everything that has ever existed in the world that I need to fix). When I wake up and I’m thinking clearly, I look at my email and am able to write down my “real” tasks so I can make progress today. Then I focus only on what I can accomplish today or what I planning I need to accomplish so I can make tiny progress tomorrow. When I think about the here-and-now, I realize that I’m making progress and it’s making a big difference over time. There are many times where I have to tell my kids “No” because of something related to work or not take a work-related opportunity because of what it means for my kids. I realize it’s the balance that will always exist in my life and I’m comfortable with my decisions and my progress. I know they’ll be good days, challenging days and important days in the future. I’m working to make sure that my days are purposeful and that I make a difference with what I can do. I’ve learned is purposeful positive thinking makes an enormous difference in my life, and I think it will benefit you as well. When I’m feeling like a failure as a working mom, I remind myself of the power of purposeful positive thinking, because it works. Instead of thinking, “I can’t do it all,” I remember, “I’m doing the best I can and my best is enough.” Switching my thinking is a valuable reminder that gives me strength in challenging situations and makes me continue to do the best I can – to be the best mom, the best employee and the best person. I think that’s all I can ever really hope for. And I’m happy with that. Because my best is enough. I’ve been in a few situations lately where I’m the new person and I’m not sure what to do. I’ve seen others avoid these situations because it’s often uncomfortable to be unsure of the next steps. I used to think that I was the same way, but I’ve realized that I do know what to do and I’m comfortable getting what I need – so if I’m new or I’m the expert, I’m making the best of the situation. I have entered a season in my life where my time seems to evaporate exponentially. What I need to get done continues to pile up and I’m lucky to have time and focus to write down my tasks. My house is piling up with projects and my work life is just as busy. I recently realized something, though. I’m making many things harder than they need to be. I’m thinking about the giant task that needs to be completed – expecting perfection and overthinking everything. It’s not working. So I changed my perspective to an organized solution and started working on the easiest things first. Sure, I felt like I was cheating, but I began making significant progress on my items and it made me feel better about the other things I needed to do. We just moved again, it’s the fourth time in 10 years. And all four times, we’ve moved about 4 blocks away from our current house. Same amount of packing and moving, shorter travel distances. I’ve learned something in all of these moves and I think it will make your next move easier. Make a reasonable plan to tackle packing. We used whatever we had for boxes (including suitcases, backpacks and tubs) so we had less to move overall. 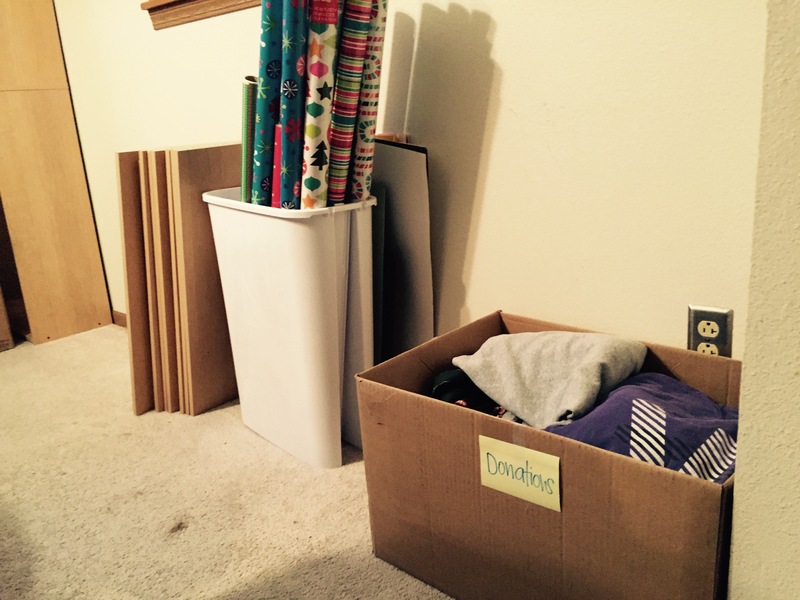 We also started packing immediately, packing less used items first and putting them in corners of rooms. 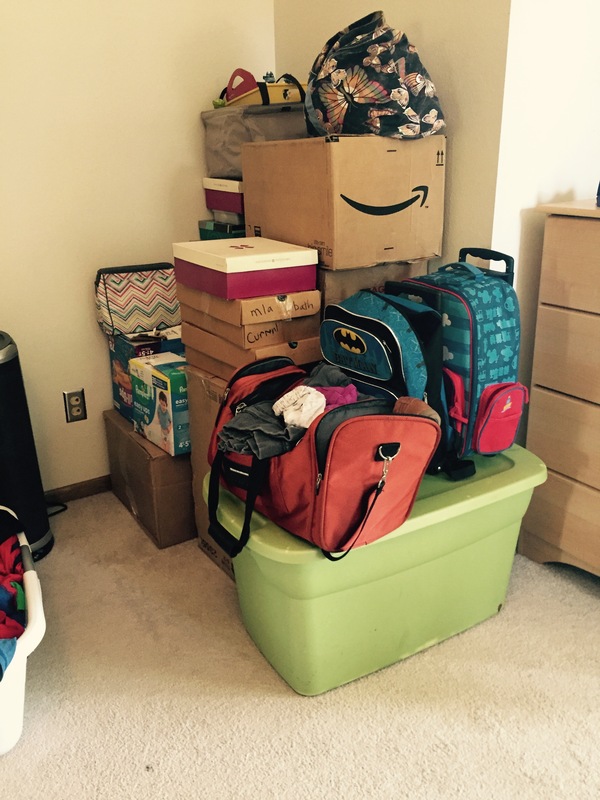 We did live with boxes in our house for two months, but packing 10 boxes per day seemed much more manageable. Figure out how long you have to move and how much you have to move. Divide up the work into smaller tasks per day to make it seem less overwhelming. Label boxes by room, not by item. You know what I didn’t really need to know? What was in each box. 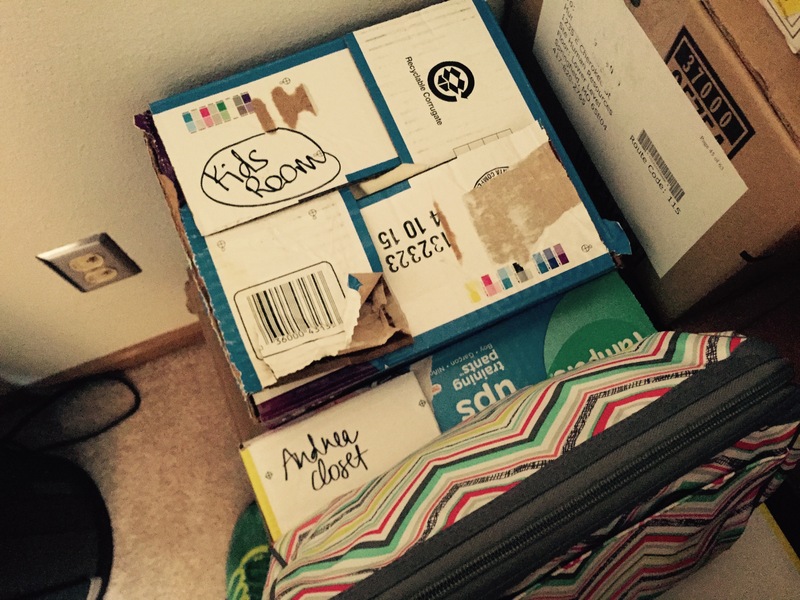 I planned to pack everything in the kitchen at the same time – so as long as my boxes were labeled “Kitchen,” I knew I’d be fine. The only boxes that got labeled with an item list were our most essential boxes – what we knew we needed to unpack the same day we moved in. Everything else only had the room on it. We saved so much time and mental energy by only labeling to the room it would be going in. Consider this strategy on your next move. Recruit great helpers and have jobs for everyone. It’s great to have friends and family that can help you move, but even if you use hired help, you need to have a plan. Workers want to be helpful and have their time used in a valuable way. Make sure you know what needs to be done and have something for everyone to do. It might be worth writing a list in advance to keep you on track, even if you get stressed out. It’s also ok to assign workers to zones. Can some be loaders, some be unpackers and some be heavy lifters? Yes, yes and yes. Keep a donation bin at your old place and new place. I donated items while I was packing and I donated more items while we were unpacking. If it didn’t fit, we didn’t keep it. The house we moved into has tons more space, but I don’t want it filled with clutter. 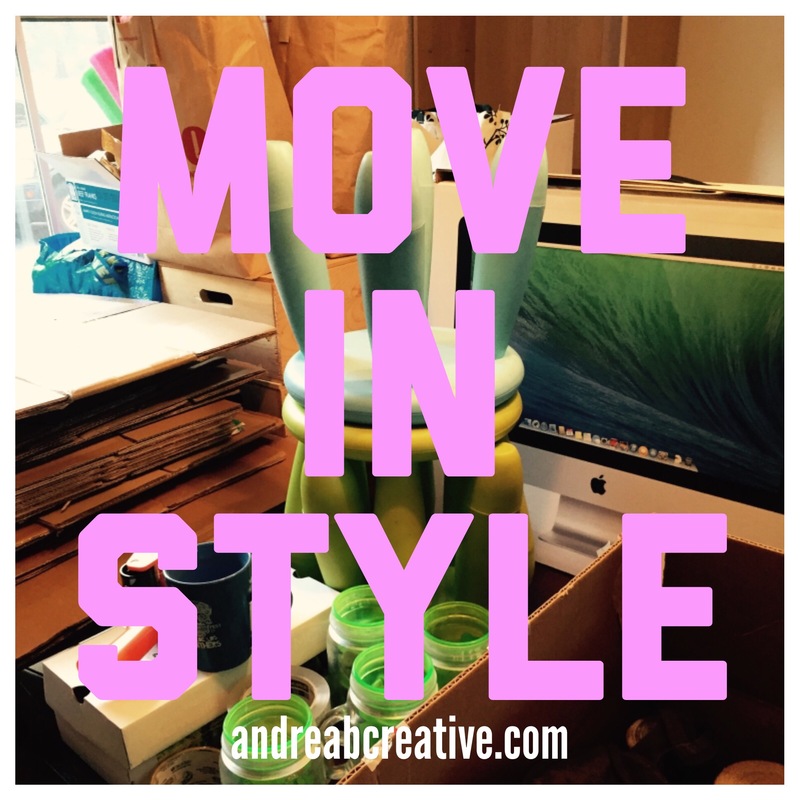 I want a clean, restful living space with less stuff and I knew I needed to make some tough decisions with everything we kept in our lives. I couldn’t even tell you what we donated, because I don’t remember it and don’t miss it. You can move in style. If you’re planning to move this week or this year – it can be done. Make a plan, work your plan and enjoy your new living space. Today, think about being present in the moment. You need to actively observe your life and what you are doing in it. 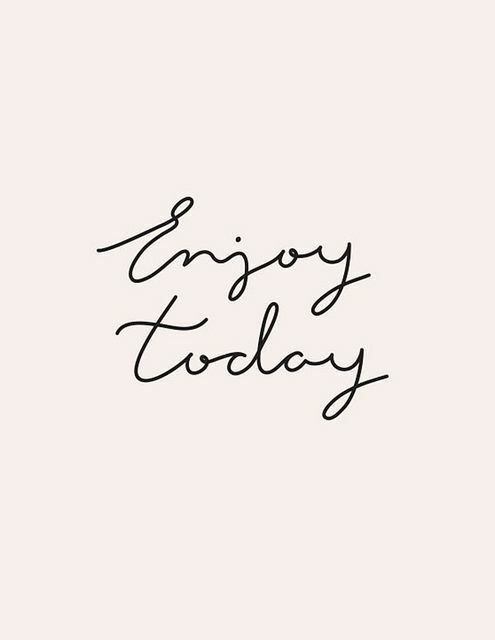 Today, it isn’t enough to just make it through the day, the week or the semester. You need to understand why you’re doing what you’re doing. Once you become more mindful about your decisions, your attitude and your environment – you can begin to change your life – and live the meaningful, organized life you want. Stop life on Auto-Pilot. You know when it happens, your days have flown by and you can’t remember what happened. It happens to me too, more often than I’d like. A few years ago, I realized that I wasn’t enjoying my life, I was just surviving. And then I realized, I had 24 hours each day that I could just make it through or I could purposefully invest in what I was doing. What a change! This mindset allowed me to focus on my decisions, invest in right-now and start to enjoy the moments I was living. If you’re like me, you are busy. Super Busy. Crazy Busy. And being that busy for that long can make you super crazy and stressed. No thanks. I promise organizing your life includes taking rest days and really resting. You deserve this. Think about things you really like to do and make sure you’re scheduling them into your time regularly. Whether it’s a hot bath, a walk/run in the neighborhood, or reading a chapter in your favorite book – anything that relaxes you works. When we lived in Baltimore, I’d sit on my back porch every morning and it’s a practice I still continue most days, even now. Just a few minutes outside and I’m ready to go. You know what you like to do, incorporate it into your life every day.